The windows are down. The country air mercifully streams in the vehicle as you drive away from the camp property. There is nothing quite like the smell of a child after a week or more at summer camp. There is something wild about that smell. There is B.O., to be sure, but there is something more that the children are secreting into the air. It is as if the excitement, memories, joy, and deep regret that the experience is over are somehow oozing from their glands. I love the ride home from camp. 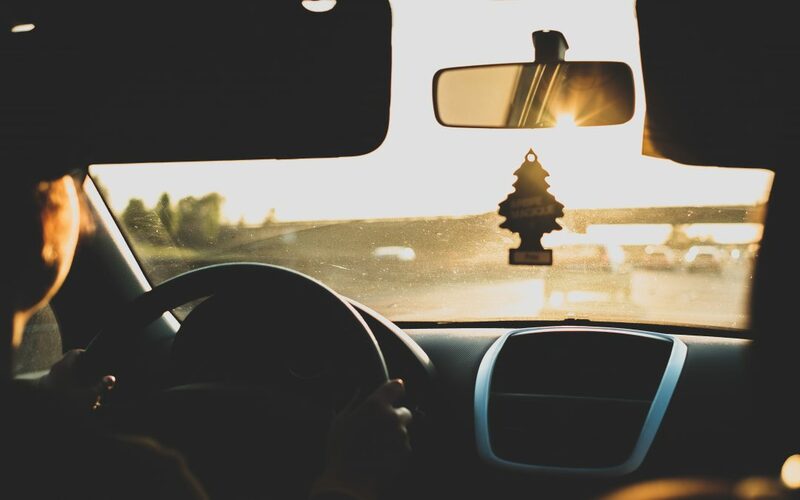 In the weeks to come, it will be increasingly difficult to extract the stories and memories from your child, but all the emotions are still raw during the ride home. They sometimes pour out in steady streams of seemingly disjointed statements that must somehow make sense to someone. Other times, there are fits and starts as the child struggles to put into words what has happened. The truth is that they might not yet fully know what has happened to them. Listen to your children. Help them make sense of the experience by simply listening and perhaps asking a clarifying question. Notice the words that they use to describe the experience. Are they what you expected? What you hoped for? Camp directors and church professionals should pay attention, as well. The ride home is a critical part of processing the camp experience. It is the first step of the transition from camp to home. What words do you hope they will use? 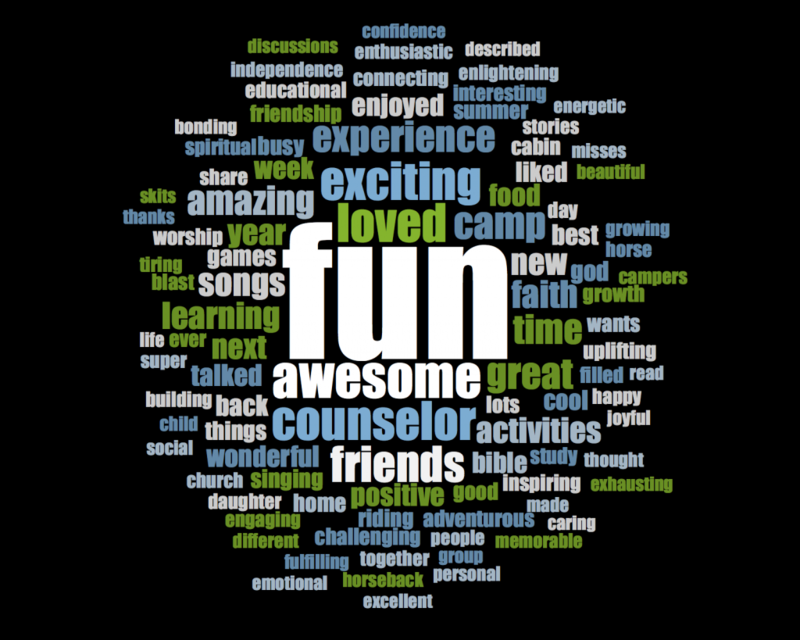 The word cloud shown here represents parent responses in the weeks following their children’s camp experiences. We asked them to report what words their children used to describe camp. Some gave direct quotes from their children, while others tried to sum up their child’s camp experience using their own descriptors. These words represent the weeklong camp experience as interpreted through the lens of the children’s parents. More than 500 parents from 7 different Lutheran camps across the country are represented here. The larger the word, the more frequently it was used. Only the top 100 words are shown (repeated at least 4 times each). Take some time to look at it. Does this cacophony of words ring true to your own experiences of driving children home from camp? What words stand out to you? What words do you notice on the periphery? What surprises you? Do you think that anything is missing or wish that any words were larger? At your particular camp, what words do you hope would be in the top 10? Now, consider what you can do at your camp to ensure that these desired words are on the lips of your campers during the ride home.